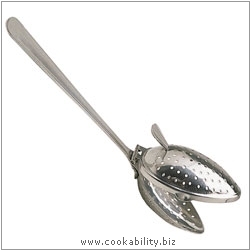 Spoon shaped stainless steel infuser for making a single cup of loose leaf tea. Features a lift up spoon head for adding and releasing the tea leaves. Ideal for all types of leaf tea.